Last updated: Sep 5th, 2011. 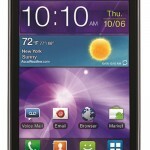 The Samsung Illusion is a mid-range device for Verizon. 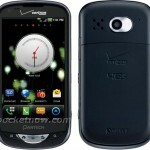 It sports a 3.5 inch HVGA display, Android 2.3, a 1GHz processor, a 3 megapixel camera and more. 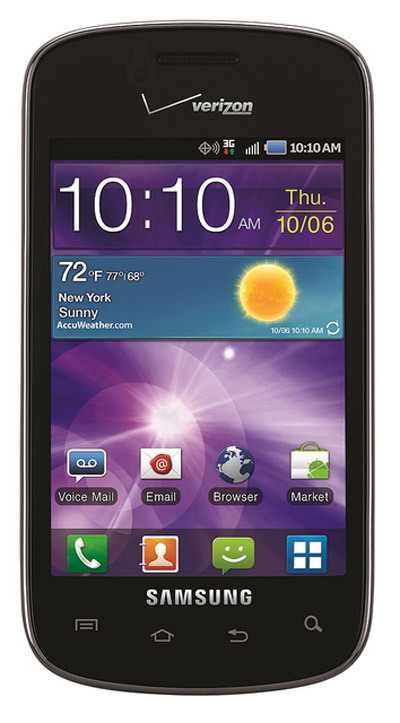 It doesn't boast the impressive features from Verizon's 4G lineup and other devices but it should be an affordable offering for anyone who doesn't want to spend a lot on an Android. 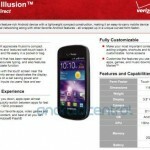 Samsung Illusion Coming to Verizon this Month? 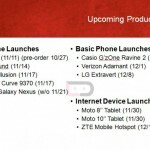 Samsung Illusion and Pantech Breakout – Verizon to Introduce Two New Affordable 4G LTE Phones?